In the world of Hollywood, sequels tend to be unimaginative and disappointing affairs. 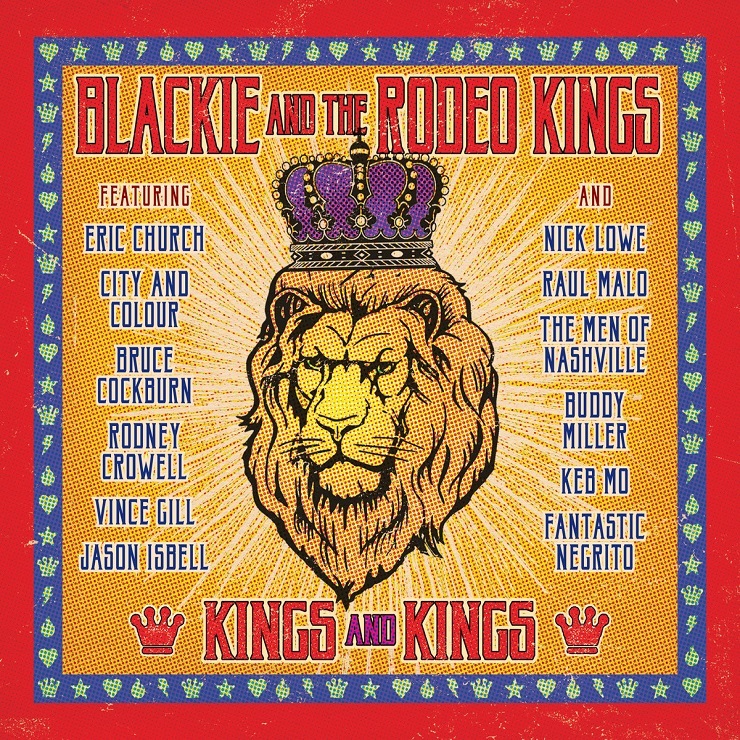 In the roots music world of Blackie and the Rodeo Kings, however, sequels can work, a fact happily confirmed by Kings and Kings, a successor to the veteran trio's triumphant 2011 album Kings and Queens. That record featured a star-studded collection of female singers collaborating with BARK; here, it's the guys' turn. The list of guests is impressive, including Eric Church, Jason Isbell, Raul Malo, Bruce Cockburn, Keb Mo, Vince Gill, City and Colour, Rodney Crowell and Buddy Miller. Such large cast affairs can get messy, but the fact that the material here is all original helps keep it fresh. Only one track here, the opening and rather autobiographical "Live By the Song," is actually written jointly by the three principals, Colin Linden, Stephen Fearing and Tom Wilson; the rest are either solo compositions or written by one Rodeo King with different co-writers, another factor in the album sounding varied enough to keep your attention. For instance, the gentle gem "The Secret of a Long-Lasting Love" is written by Fearing and longtime collaborator Andy White, while Tom Wilson's co-writers include son Thompson Wilson and Andrea Romolo. Even singers with such distinctive vocal personalities as Raul Malo and Nick Lowe never overshadow the BARK vocalists here, but they do add real texture to the well-crafted compositions, as does Dallas Green (City and Colour) on Wilson's "Beautiful Scars." The one outside tune here is "This Lonesome Feeling," a sparse and haunting song written by the late great Willie P. Bennett, still a guiding light for the guys in BARK.